I like FineSeat because its a nice name and the restaurant customers like it very much. Perhaps FineSeat appeared just at the right time in Thailand, a country of food lovers. Thailand is probably the food heaven in Asia too. There aren’t too many here that offer this type of service. But I still wonder about its potential to attract foodies while there are lots of restaurants in town they could walk into. Why should they book online? I asked Khun Keng, Founder/CEO of FineSeat.com, to find out why. 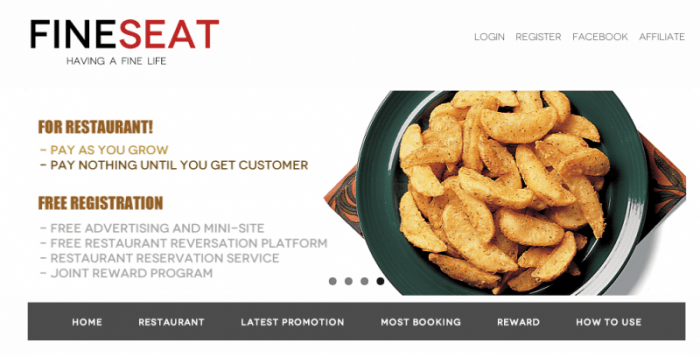 How did you come up with the idea of an online restaurant booking website? I am familiar with the service and I have seen the successful story of www.toptable.com. Applied the same idea to my business. This idea was made it possible for the the number of customers for my partner restaurant increase. What did you do in London while staying there for 6 years? How did this period make an impact on your start-up life? I went there to develop my language in order to return to work in a global company in Thailand. [quote]I already had the opportunity to work in the restaurant business since I was working as a dishwasher staff, a waiter, a bartender and a restaurant manager so I knew I liked a job in the hospitality industry. [/quote] Then I thought of finding a way to take what I liked doing in business. I started to try and do it up since being in London. Can you share something about your team? How did you build your team? [quote]The most important thing for our team is that everything starts from action—that and willingness. [/quote] From the start, we always wanted everyone who worked with us to do what they like—what they are best at—because they will work happily. Thus, the team’s motivation to work is quite high. So although the team is small, it packs a lot of power. Thailand has a lot of delicious restaurants. So why should diners book via FineSeat instead of just going there or making a call? Fineseat is a dining hub. [quote]We offer information customers need and discounts they can take advantage. There are also good promotional offers from many restaurants for customers who book online. [/quote]For members, our service is free. We are always ready to serve our customers. Just book with us and we will handle everything. They do not even have to pay phone charges because they do not need to call, waste time talking to staff, wait for a table to open at a restaurant or for a call to have their reservations confirmed. We have points every time customers use our services. Book with us 3 times and they get reward points they can use to get gift vouchers. Well, we are the first to offer this service in Thailand. [quote]What also makes us different from the rest of the competition is that we understand and have access to ideas and viewpoints of many restaurant owners in Thailand. 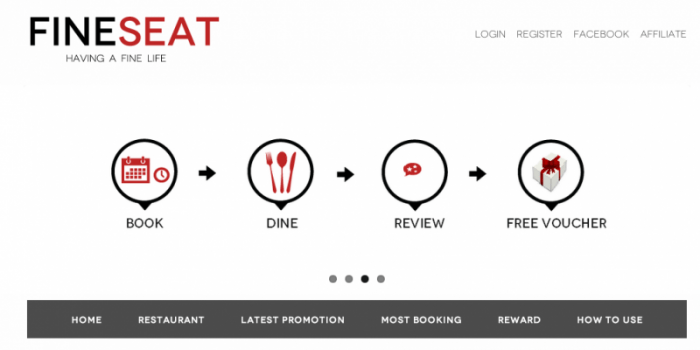 [/quote] We are also the first company to offer restaurant staff members a way to receive bookings from diners directly. What was the most difficult part of the business when you started? What is it now? What changed since you started in 2011? How many bookings per day do you get now? After receiving The Winner of Angel in the City of SIPA, did it lead to anything positive? Yes. Our credibility rating from restaurant owners and organisations improved. Who are your typical customers? How will they find your website? [quote]Our main diners are mostly corporate employees, families, couples, and friends. [/quote] We promote ourselves through various media channels and through our different media partners. Our customers can find us online through our social pages and partner restos. One reason they book tables with Fineseat is that it’s more convenient than calling or buying a coupon because you don’t have to pay right away. How much do you get from restaurants? Do you want to expand to other countries in Southeast Asia? Yes, we would like to expand and offer this service to Malaysia, Indonesia, Vietnam, and Lao. What is your plan for the year 2014? Finally, how can you use your weekend? I work everyday. My weekends, I spend dining in partner restaurants. 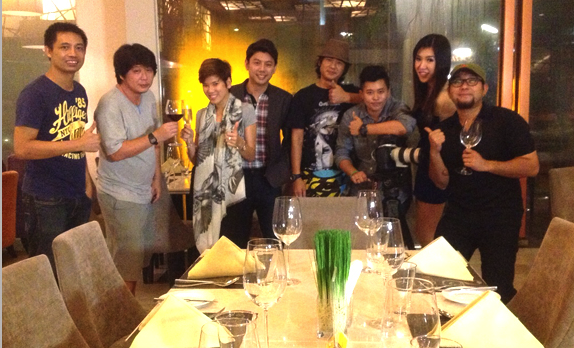 Behind the scenes: FineSeat is invested in by an angel investor who owns about 30 restaurants and hotels in Thailand.